So when I was pregnant, there was a logical reason behind not drinking a bottle of Moscato. 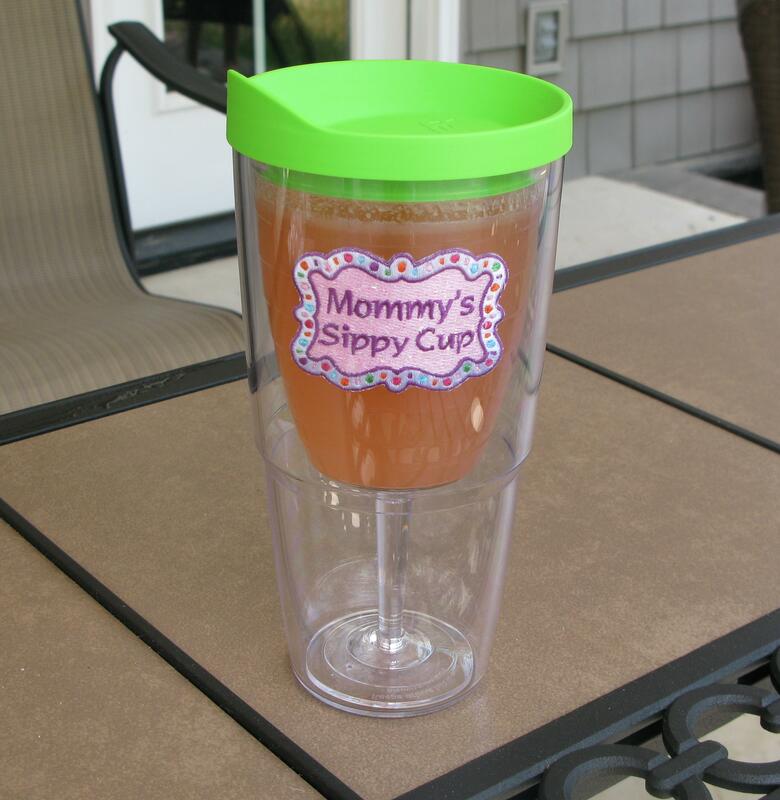 I didn’t want my kids to come out with crazy eyes and requesting a shot of tequila…although it could possibly help them fall asleep faster and easier… The point is, I wanted my Moscato during pregnancy, but refrained for my little parasites. After they were born, I didn’t have to poke my lower lip out and start whining every time I saw a friend drinking what looked like a delicious cocktail. My BFF brought me a special insulated wine glass with a bottle of wine to the hospital. Totally appropriate. I finally understood what the term “pump ‘n dump” meant. Throw 1 cup strawberries and frozen lemonade concentrate in a blender. Puree that glorious combination until strawberry chunks are small. 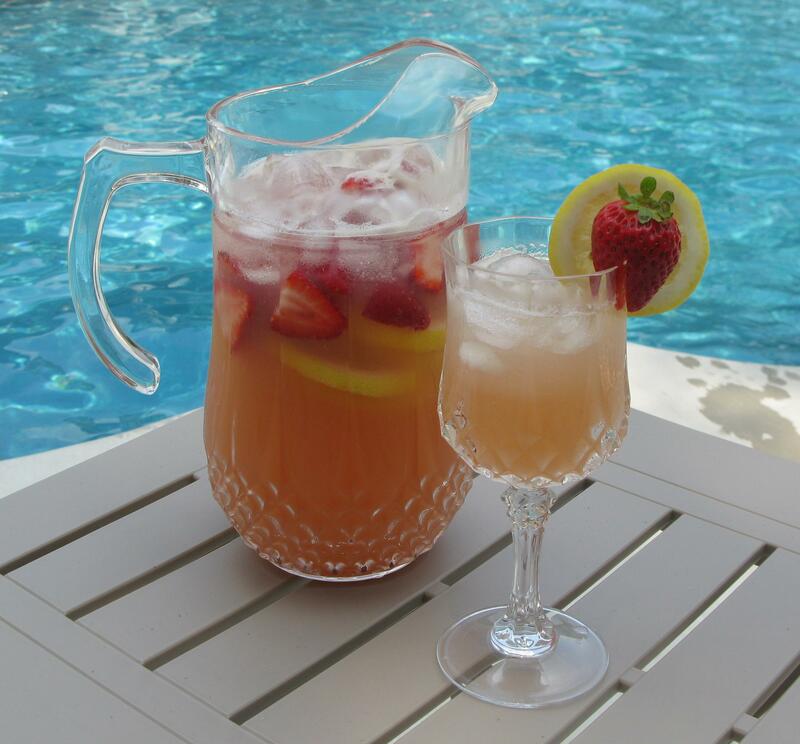 Pour moscato and ginger ale into a pitcher, then the strawberry lemonade mixture through a mesh strainer. Stir together the liquid ingredients, then add remaining strawberries and lemon. Serve chilled.